We treat a wide variety of physical and psychological health concerns with traditional acupuncture. Traditional acupuncture is the insertion of tiny needles to stimulate the body’s energy system, or Qi as it is referred to in Chinese Medicine, to restore its physiology to a more normal state of homeostasis. Acupuncture and Traditional Chinese Medicine (TCM) has been practiced for over two thousand years and with the introduction of the modern Western Medical Science evidence based practice it is still proving to be a very powerful and natural health care system. The TCM medical system believes every patient is unique and understands that the physical, psychological and emotional effects of each disharmony within the body plays a key role in correctly diagnosing and treating patients. A typical acupuncture treatment will begin with a thorough investigation sequence that includes a comprehensive questioning of medical and fertility history, pulse taking and tongue examination. To attain an accurate diagnosis and establish an effective treatment program a series of questions that relate to the patient’s main complaint as well as questions that will give a more holistic internal picture of what is occurring will be asked so as a thorough depiction of health is gathered. To learn how acupuncture can improve your health and wellbeing, book your initial consultation now by contacting the clinic on Ph. 3290 1358. More clinically effective in pain relief and functional improvement than no treatment at short-term follow-up (1). An adjunct to conventional therapy that provides short-term clinically relevant improvements in pain and functional measures (1). Furthermore, a more recent systematic review on clinical trials has shown acupuncture to be more effective than medication for symptom improvement or relieve pain better than sham acupuncture in acute lower back pain (2). Acupuncture for IBS has been shown to decrease the severity of symptoms by almost 20% more (when used alongside usual care) than those who received only usual care (1). In addition to this another study suggested acupuncture to be a cost effective treatment option for sufferers of severe IBS (2). In today’s modern society stress and anxiety are becoming more prevalent. In the 2014 Australian survey into stress and wellbeing it was noted that almost one in five (17%) Australians reported that current stress was having a strong to very strong impact on physical health (1). The main causes of stress were family issues (45%), personal health issues (42%), issues with trying to maintain a healthy lifestyle (39%), and issues with the health of close ones (36%) (1). Other causes were financial issues, family and relationship issues, economy, workplace, the environment and personal safety issues (1). In 2014 the Medical Acupuncture Journal published a research article that investigated acupunctures effects on stress reduction over a period of time through the monitoring of heart rate changes in patients with hypertension. They found that in some patients their heart rate variability (HRT – a noninvasive monitor of autonomic balance that indicates physiologic stress) increased over weeks to months during the course of acupuncture treatment for hypertension (3). This increase in HRT indicates a relative decrease in their physiologic stress, demonstrating that a course of acupuncture treatments is effective in reducing patient stress response (3). Furthermore, the CNS Neuroscience and Therapeutics journal published a literature review into acupuncture for anxiety and concluded that the evidence suggests acupuncture is comparable with cognitive behavioral therapy. Cognitive behavioral therapy (CBT) is a common intervention used in the treatment of anxiety (2). A 2015 study investigated the effects of acupuncture on women with chronic liver disease, evaluating their insomnia, anxiety and depression scores. The results showed a significant decrease in the severity for depression (6.6 ± 2.8, 4.2 ± 2.6, 3.1 ± 2.7 (p=0.01)) amongst the participants in the acupuncture group. In addition to this another study found that acupuncture combined with an selective serotonin reuptake inhibitor (SSRI; a class of anti-depressant) showed a statistically significant benefit for patients with depression over the 6-week period compared with SSRIs alone (3). They also noted that this reduction in symptoms started in the first week and continued throughout the 6 weeks of treatment (3). Furthermore, a recent study found acupuncture to be cost-effective compared with counselling or usual care alone (2). The Cochrane Collaboration conducted a review into the evidence available for acupuncture for migraine prophylaxis and found that there is consistent evidence that acupuncture provides additional benefit in the treatment of acute migraine attacks when being utilized as the primary treatment method or in conjunction with routine care (1). Furthermore, they also concluded that the available studies suggested acupuncture to be as effective as, or possibly more effective than, prophylactic drug treatment, and has fewer adverse effects (1). Their recommendation was that ‘acupuncture should be considered a treatment option for patients willing to undergo this treatment’ (1). Additional to this, the Cochrane Collaboration also conducted a review into the use of acupuncture for tension type headaches with the authors concluding that acupuncture could be a valuable non-pharmacological tool in patients with frequent episodic or chronic tension-type headaches (2). Acupuncture relieves pain better than some sham treatments, measured at the end of the treatment (1). 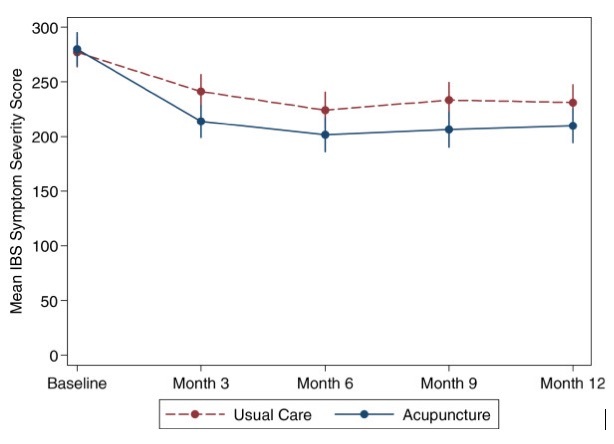 Those who received acupuncture reported less pain at short term follow-up than those on a waiting list (1). Chronic pain is a condition that effects every moment of every day for its sufferers. This debilitating condition can take a heavy psychological and physical toll on the body. A recent study into the effects of acupuncture on chronic pain found “acupuncture is effective for the treatment of chronic pain” and is therefore a reasonable referral option (1). In addition to this the authors noted a significant differences between true and sham acupuncture indicating that acupuncture is more than a placebo (1). The Chronic Pain Australia association also recommends acupuncture are the preferred treatment of chronic pain (refer to their videos at http://www.chronicpainaustralia.org.au/index.php/2013-09-04-07-55-27/treatments). Improves sleep quality, total sleep time, sleep efficiency and daytime functioning. This was well maintained to follow-up, whereas the effect of sham acupuncture and estazolam (common sleeping medication) was not significant when the intervention ended (1). Was better than sham acupuncture and estazolam in improving sleep quality (at 2-month follow up) (1). Significantly improved daytime functioning (1).